FanForce brings you this special premiere Q&A screening of High As Mike on Monday 20th May, 7:00 pm at Palace Cinemas Barracks, QLD! Q&A with a panel of Australia’s leading Medicinal Cannabis minds. Make sure you arrive 45 minutes early to enjoy drinks, canapes and to socialise. The film will start at 7:00pm sharp! 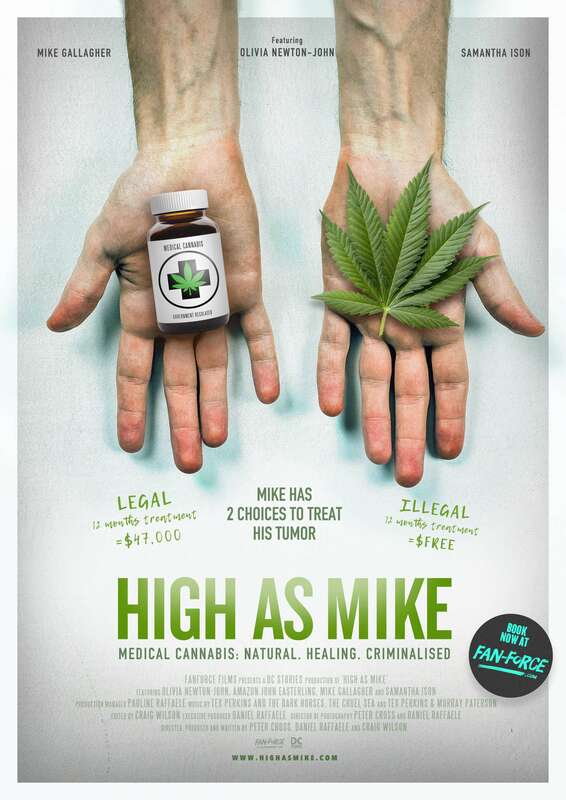 High as Mike – the ride to try..
Join Mike on a journey of discovery around Australia showcasing the trials and tribulations of patients using and seeking to use Medicinal Cannabis. Mike has a brain tumour. As such, Mike’s journey is very much a typical patient journey, looking for answers to life & death questions. Travelling from Tamworth in NSW, Mike’s journey takes him to all corners of Australia in search of answers. The documentary reveals patient testimonies with a broad range of medical conditions. Expert opinions and results from all sides of the Medicinal Cannabis debate form a balanced perspective of the current situation patients are facing. Riding on a wave of realisation that a large majority of Australians are suffering and in pain, Mike is compelled to uncover the truth as he chats with patients that have already embarked on the same life changing journey. Discussions with Politicians, doctors, lawyers, licensed growers and black market operators, see Mike struggling to make sense of current rules and regulations.